Michelle Wegner has read 32 of 100 books. Michelle Wegner read 58 books of her goal of 50! Michelle Wegner read 50 books of her goal of 50! Michelle Wegner read 110 books of her goal of 100! Michelle co-authored Share the Well with her husband Rob after taking numerous trips to Southern India, visiting the church planters that Granger Community Church trains and supports. 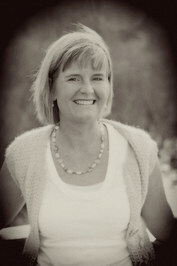 Michelle has served alongside her husband in church ministry at Granger Community Church since 1992. Together they have three fun, creative, and spirited girls. Michelle has a passion to tell the stories of men, women, and children living in the third world. She also enjoys blogging, hiking with the family, and anything creative and artsy. We’d love your help. Let us know what’s wrong with this preview of Code Name by Larry Loftis. We’d love your help. Let us know what’s wrong with this preview of A Lily in the Light by Kristin Fields. We’d love your help. Let us know what’s wrong with this preview of The Internal Enemy by Alan Taylor. We’d love your help. Let us know what’s wrong with this preview of Wholly Unraveled by Keele Burgin. We’d love your help. Let us know what’s wrong with this preview of Charles Dickens by Claire Tomalin. Thanks for the friendship here at Goodreads ... loved your webiste.